A growbed is where your plants will go and this should rest on top of your fish tank. The growbed is where you grow the selected plants of your choice. This can be from seeds you sow straight into your growbed, or you can opt to use plant seedlings for this purpose as well. You can get hold of plant seedlings in your nearby nursery or you can grow them in separate grow trays. Now, when the seedlings grow to about 2 inches long, you can transfer them to your growbed. There have been very interesting mini aquaponics system designs in recent years, some are good and some, not so. But these few systems that I’m going to run you by, have caught my interest recently, and for good reasons. They’re ready made systems that are easy to set up, practical designs and reasonably priced plug and play package. Best thing is, they make great hobbies for your kids and even better festive gifts. The genius of this very system is that it requires zero experience to set up. The growbed and fish tank comes built-in with the package. All you need to do is fill the fish tank with water, hook up the pump, set-up the planter with growstones and sprinkle the seeds. Within a couple of days you will begin to see sprouts pushing their way out to greet you. 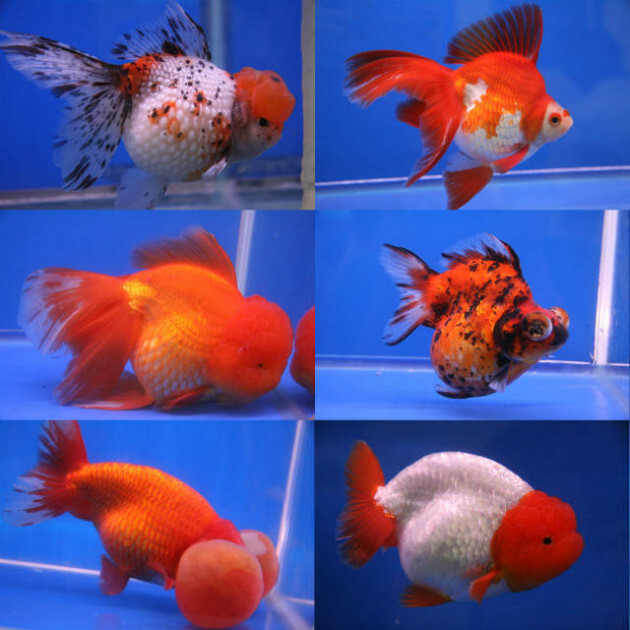 I have always been a big fan of goldfish, it’s probably because I started my first venture into the fish world by having goldfish as my pet. Unfortunately I had to give that up, at my later primary school days when we moved to another state due to my dad’s job posting. Now, years later our path crossed again when I got involved in aquaponics. Goldfish make perfect aquaponics fish in that they are always willing to eat and produce a good amount of excretion, hence nitrate for the plants to thrive on. And they are a pretty hardy fish, depending on the species you choose which fits perfectly for the job. 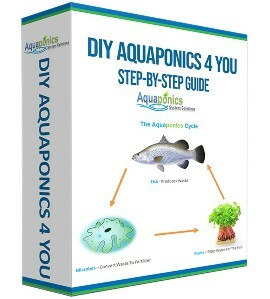 DIY aquaponics or aquaponics kit? I am often asked that question and it’s a valid one of course. And my conclusion is, the final decision would ultimately falls down to the budget that you have at your disposal. If money is not a concern and you want an aquaponics system up and running without much labor, then the diy quaponics kit is the answer, definitely. But if you’re a diy person, even just slightly then by all means do it yourself, it’s easy. I mean let’s face it and not that I’m a sexist, but statistics show that men are more prone towards diy stuff than women are. Aquaponics originally grew from the beginnings of backyard diy aquaponics and most of these pioneers are men who have at least been involved in agriculture or farming. They are the early do it yourself guys who worked with their hands in constructing the system. 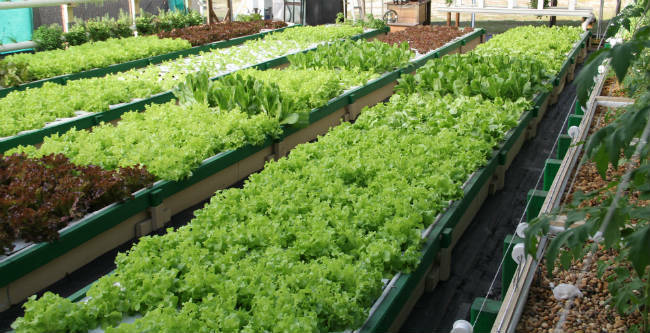 Aquaponics farming is quickly growing in popularity as an alternative way traditional agriculture. It is simple to operate, user friendly and can be executed in large or small scale with ease. If you are new to aquaponics, it is always a good idea to start out small, learn more about it by getting your hands dirty first, so to speak. And then move on to bigger scales gradually once you have gained the confidence with sufficient knowledge and experience. With this approach, you do not need a big land nor fertilizers to make it a success. Here, you would have already made a substantial amount on savings. The other obvious benefit on aquaponics farming is that it’s not labour-intensive and does not include the tough physical work associated with conventional farming. This system is definitely an ideal approach to farming for the elderly and less mobile folks. A swirl filter, also known as solids filter are commonly used in aquaculture set-ups. They are also widely used in aquaponics systems to help remove fine particles produced from fish waste. This is especially true in semi-commercial and fully commercial scale aquaponics systems with hundreds of aquaponics fish stocked at any given period. The filter helps to maintain water clarity for the fish to thrive. Fish’s health deteriorates with murky water suspended with food debris and fish poop. It is a must have for DWC (Deep Water Culture) systems as it helps to prevent clogging in the plant roots. Clogged plant roots are detrimental for the plants growth and health. In a media-filled growbed system, you would not normally need a swirl filter. This is because the growbeds acts as your swirl filter in way that they help cleanse the system water. So, in a way more growbeds equal cleaner water. As you may already know, aquaponics works on the symbiotic relationship that is established naturally between the plants and aquatic animals. A mini ecosystem is created and the re-cycling of wastes as fertilizers for the plants occurs. In essence it really combines hydroponics technology with agriculture. 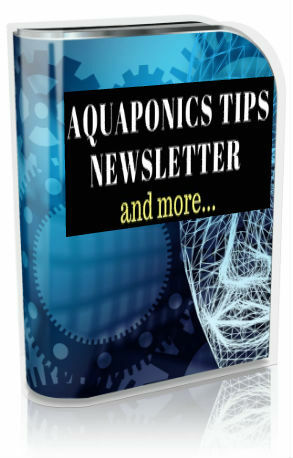 The question lies, what’s the best aquaponics plants for the system? Growbeds are used to grow plants in aquaponics and instead of soil, river rocks and clay pebbles are popularly used as the growing media. Here, water is continuously run through the system to provide the plants with a nutrient rich environment to thrive on. So What Plants Do Well With Aquaponics? There are over three hundred different types of plant varieties that have been tested to grow well with aquaponics. The variety that does not seem to do so well with this system is root vegetables. These are plants that are produced underground, like potatoes, onions and the like. Well, in a nutshell, aquaponics is a means to produce food by combining fish and vegetables together. This is made possible with the symbiotic relationship that exists naturally between between the fish excretions, bacteria and plants. Bacteria that exists naturally in the system, converts fish excretions, first into nitrite and eventually to nitrate. Plants feed on nitrate as it’s natural fertilizer that they flourish upon. So, this is a win-win marriage between the fish wastes, bacteria and the plants. The above image shows a typical nitrogen cycle that occurs on earth everyday. For an aquaponics system to function properly, we depend highly on the bacteria and its function in the nitrogen cycle. To begin with, Nitrogen really is the fundamental element for all living things on Earth. Essentially, every living organism on earth needs it to transform from one state to another in order to sustain life. Whereby microorganisms convert nitrogen that exists in the air (about 78% of the earth’s atmosphere) and organic compounds such as fish excretion, into usable form such as Nitrite and Nitrate in an aquaponics system. 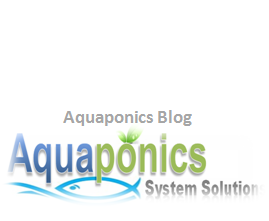 This week I would like to touch on a popular aquaponics system, called the CHOP system. CHOP stands for Constant Height One Pump and it’s popularly used by aquaponics enthusiasts the world over. It’s a variation of a CHIFT PIST system really, or an improved version you may. 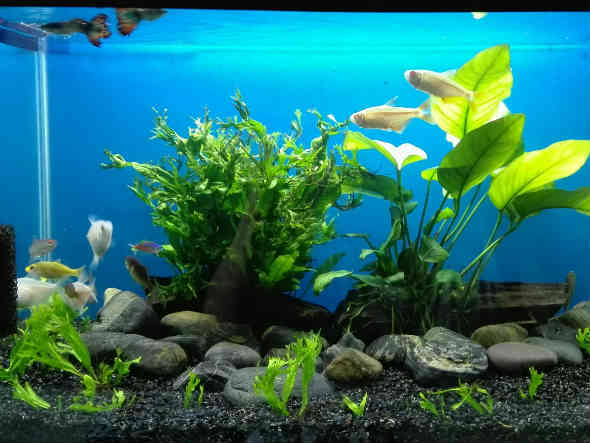 CHIFT PIST stand for Constant Height In Fish Tank, Pump In Sump Tank”. 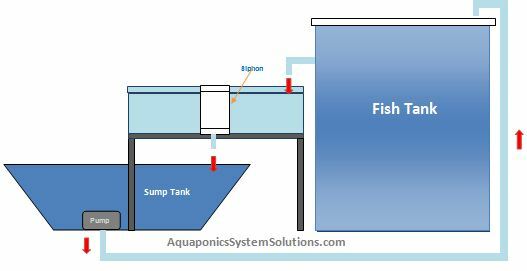 A typical CHOP or CHIFT PIST system consists of a growbed, fish tank and a sump tank as shown in the image above. The water pump in the sump tank continuously pushes water to the fish tank. And water is gravity fed to the growbed. The system water is then drained back to the sump tank via an auto-siphon. System to use and eliminates stress on the fish due to fluctuating water levels. This is even more evident if you are operating a system with multiple growbeds. With CHOP, the fish tank water level is constantly maintained as you may probably work out from the image above.